This modern brown and green book folding card has an art-deco esque floral lotus motif on the front of the card, embossed in gold ink, sitting on a minimalistic band in a green ink band at the bottom of the page and also contains the names of the couple in a contrasting colour. Green lancer prints on the left and right-hand sides of the card add to the bo-ho charm of the card. The cardholder contains two inserts made from the gold shimmer board and contains text in any contrasting colour desired. 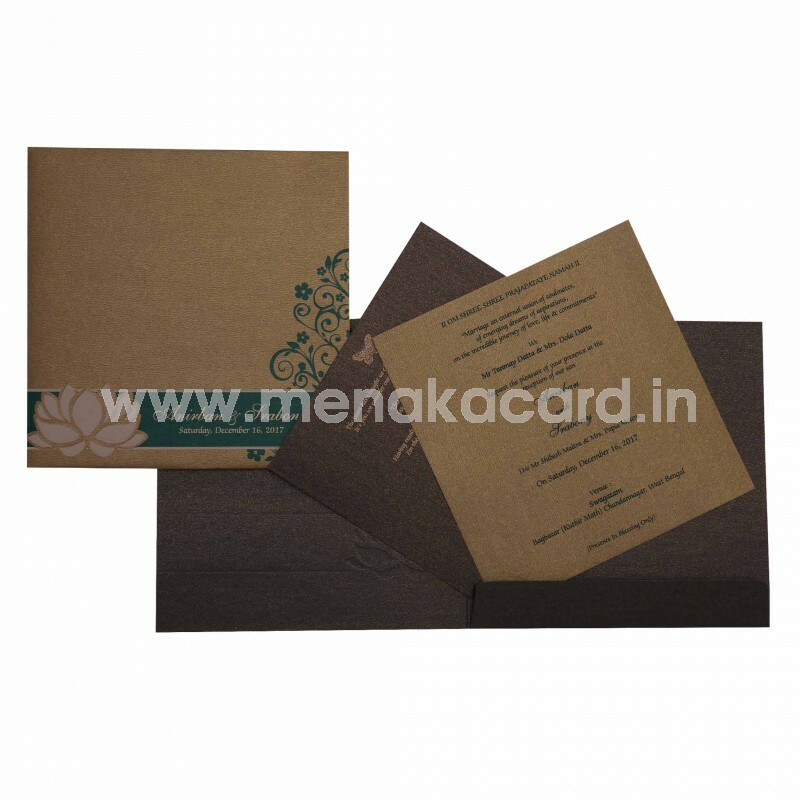 The envelope mirrors the card front in both colour and design. 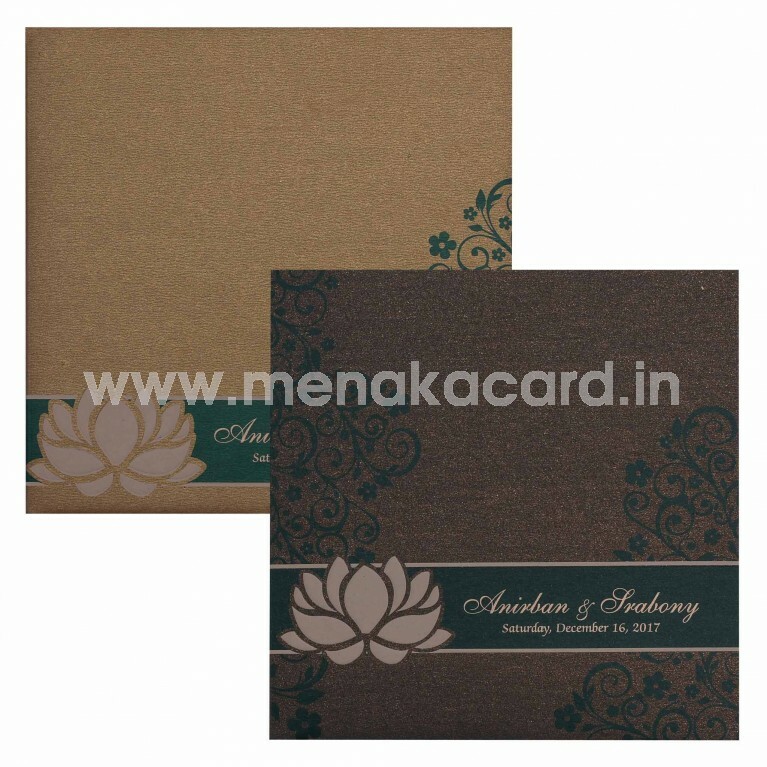 This can be used for Christian weddings as well as for personal invitations to friends and colleagues.